Nothing frustrates the mind more than its attempts to be spontaneously natural without any intention to do so. We encounter this frustration within most spiritual traditions around the world. This becomes a battle between our conscious self (ego) and the adaptive mystical unconscious. This dilemma is explored and brought face to face with our awareness to the core of the problem most categorically in the mystical traditions of the East and the philosophy and methods of practice that have evolved from these Asian cultures as a result. Both the philosophy and methods of practice have tried to deal with this paradoxical obstacle of trying to be natural without “trying” to be natural. We have had philosophers and practitioners debating for millennia over this universal conundrum. As far as our historical records suggest this problem originated in the classical period of Chinese philosophy known as the ‘Hundred Schools of Thought’ (諸子百家) which flourished from the 6th century to 221BC, during the Spring and Autumn period and the Warring States period of ancient China. In this period we saw the rise of the four great philosophers of ancient China who all in some way contributed to a deep understanding of our attempts to be natural. They were Laozi, Confucius, Mencius, and Zhuangzi. We could debate all day long who we think has the superior philosophy or if they all somehow contribute to further our knowledge of the matter, but that is not the point. The key argument that gets to the point is whether we can induce naturalness (ziran in Chinese 自然), or whether it comes from a state of non-doing. This is best symbolized between the different perspectives of Laozi and Confucius. Both were concerned with how a human being accords to the Way (Dao in Chinese道) and lives its virtue (de in Chinese 德) as a result. One of the only things they would agree upon was that we need to return to our nature to be in the cosmic river of Dao. Yet both of their philosophies to live our nature were diametrically opposed. Confucius believed in the “carving and polishing” of the block of wood perspective. His belief is that we should chisel away at our beastly character to cultivate the Confucian virtues that are supposed to turn us into a Superior Man (Junzi in Chinese君子) who is in the end only functioning as an empty vessel for the forces of Dao to work through. The Confucian approach to naturalness, as a result of carving and polishing, is the method of wei-wu-wei (為無為), meaning doing non-doing. Naturally in the flow of the Way was to be obtained through following the ethics, odes, rituals, and sacrifices of Confucian philosophy (Ru in Chinese儒), which is supposed to shape our psychology to sense intuitively the metaphysical Way of the Dao in our ordinary life. But a big problem with this approach is it assumes that the Dao adheres to the philosophy of Ru and not the other way around. We lose sight of the meaning of ritual, as the Vedic civilization of the Indus Valley in India and Pakistan did as well, and we believe that the virtue of spontaneity is only confined within ritual and those who practice it. Laozi, on the other hand, believes this approach is a disaster and in a way go on to explain that the Confucians are still interpreting the spontaneous nature of Dao with the conscious mind which indicates that even the Junzi is not really an empty vessel. Instead of carving and polishing the block of wood, Laozi would suggest we stick to the “uncarved block” or unhewn wood in other words. Holding onto the uncarved block we quell all our attempts to be natural and just allow spontaneity to be as it will in our life with no premeditated control of it. This leads to the essential Daoist art of living known in Chinese as wu-wei (無為), meaning non-doing. According to Laozi wu-wei is the way to align our mind to the Dao because we have stopped trying to control our experience. He believed that if we embraced non-doing in our life the conscious self (ego) would loosen its grip of tyranny within our mind so the mystical unconscious can allow our experience to be as it will without our personal agenda and desires of life projected upon it. But we should keep in mind that Laozi is not saying literally that we should do nothing and become a stone Buddha. What he is saying is that when we don’t force life to be a certain way and instead allow life to happen, wu-wei, we accord to the Dao because the sense of “I” has become subservient to the Way of nature, which is spontaneous. This means that outwardly we could be actively doing things but within we are effortless because the sense of personality has marinated and become absorbed in the Dao. Fixed in yoga, do thy work, O Winner of wealth (Arjuna), abandoning attachment, with an even mind in success and failure, for evenness of mind is called yoga. When we attempt to act with the sense of being the doer we resist the Dao and suffer as a result. To use an example, when we try to open a door with a key if we force the key when we turn it there is resistance, but if we are soft and just jiggle and apply enough pressure then the key moves smoothly and the door opens. This is a metaphor for our life and also for the way our own psychological conditioning blocks the stream of the universe to flow through our innate stillness of mind. As a result of both the Confucian and Laozian perspectives of how to be naturally in harmony with the Dao we discover the Daoist predicament. Because we can all say that from our vantage point of 2500 years past their time that both present good arguments that we can see exhibited in our own life for those who are paying attention to their inner and outer worlds. This is why Mencius was impartial to both sides and though he is historically thought of as a Confucian, he often sounds more like a mouthpiece for the wisdom of Laozi than anyone else. Clarity is not brought to this predicament until the end of the Warring States period when the philosophy of Zhuangzi came into existence. In regards to this debate between Laozi and Confucius, Zhuangzi would say there is no right or wrong. A key theme of his philosophy was that human beings are fundamentally flawed because we have the ability to discern between “this” and “that” in our essence (qing in Chinese 情). This leads to subjective opinions of right and wrong, good and evil, arbitrary judgments, and so on. According to Zhuangzi, if you are attempting to define the indescribable Dao then nothing is more stupid than this. This is reflected in the text attributed to him known simply as the Zhuangzi. This is one of the most beautiful texts that stand side by side with the Dao De Jing as a classic of Daoist thought full of humor, mystery, paradox, and wisdom. In the Zhuangzi, we find him poke fun at both opposing perspectives, not in the sense that they are both wrong, but because they both fall into failure when they believe their own philosophy is the “only” way to live according to Dao. It was absurd for Zhuangzi to think that spontaneity had a certain philosophical dress sense it related to. That would be like favoring the spontaneity in music over the spontaneity in sport. The problem with this, as a result, is we get lost in the projections of our own opinions of whether we prefer music or sport better without perceiving the Dao move spontaneously in both. And it is because of this intellectual preference for what we like or dislike, or find acceptable or not acceptable, that Zhuangzi’s focus is on the art of living in harmony with the Dao through becoming skilled at it. This skill of the art of living is illustrated best by the story of Butcher Ding (classically known as Cook Ding) in the Zhuangzi. In true Zhuangzian fashion he uses the graphic description of Ding hacking up oxen piece by piece essentially to shock you because Zhuangzi is trying to emphasize that perfection is found everywhere in the world. Zhuangzi actually wanted this reaction because in the Warring States of China butchers were thought of as the lowest of the low, so it is extremely weird to see Ding portrayed as an exemplar of the Dao. Meaning he has shut down his external senses and his mind so his spiritual desires (shen yu in Chinese 神欲) are released and they are what guide him, essentially being moved by Dao. We could call this the embodied mind because he trained his psychosomatic organism sufficiently to be naturally spontaneous without a sense of “Ding” the person doing anything. In cognitive science they would say Ding has trained his hot cognition (body and mind’s automatic instinctual response) so well that he can shut down his cold cognition (conscious control of the instinctual response). Ding is explaining that it is not about skill per se, but instead it is about being in touch with the Dao. So the argument Zhuangzi illustrates through the story of Ding is not a matter of whether Laozi’s philosophy to be natural is better than Confucius’s or vice versa, or a matter of whether we should “do” something to be natural or not. But instead what it is about is how can we become spontaneously natural through the analytical mind, or conscious self in other words, if itself is unnatural and actually an artificial byproduct of culture and society? Essentially, how can this artifice of a person (ego) I believe I am get rid of itself? This confusing paradox was a key element to why the great alchemical traditions of the world came into existence. 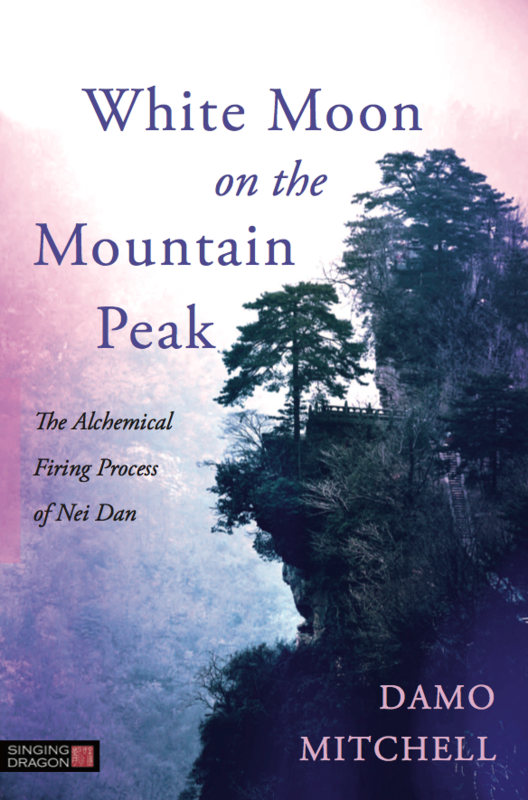 None more important than the art of Nei Dan (internal alchemy) in China that offers us a way out of this confusion and back into harmony with the Dao, which is the primary focus of this Daoist epic presented by Damo Mitchell. To understand Nei Dan, or any other alchemical tradition for that matter, we must not only be adept in intuiting the philosophy of such systems of thought, but also be as skilled as Butcher Ding in the practical application of the methods and techniques that evoke the philosophy as a living reality. Only a rare breed of individual can usually bring this forth, and Damo Mitchell is a thoroughbred within the stable of humanity. He not only brings both together but can articulate it and teach such a complex subject in a way that we can all digest and assimilate. Some people in life are unfortunate and never open the universe’s vast library of knowledge on Eastern wisdom and then there are others who get to open the library later in life. But then there are those rare souls who were born in the library and become the librarians of the perennialism of the East. Mitchell is one of those librarians who spread the wisdom of the East to the world. He was born into Eastern philosophy and practice from birth and began his life’s work from the beginning of it. Not many can say that, and that is why I am saying no one else is better skilled than him to compile such an extensive work on Nei Dan which not only covers all bases but also what the bases are built on. Mitchell is a Western man only in appearance, as his mind is Eastern from his life lived in the philosophy and the internal arts of Asia, China especially. He is the result of a growing interest in the mystical traditions of the East in the Western world. 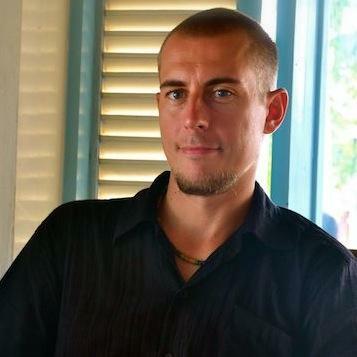 A spiritual renaissance is beckoning humanity where the wisdom of the East is leaving the confines of Asia and being reinvigorated by Western teachers such as Damo Mitchell. Through his deep understanding of the Daoist arts, Western and also Eastern spiritually inclined people can finally assimilate the practical application and techniques of Nei Dan to fully live the philosophy of our ancient Eastern masters. We will reap the benefits of this work on Nei Dan because even though the information in this book is guided towards our own enlightenment and the transcendent Dao it is also very timely. I say this because Mitchell explains in the text that most forms of spiritual cultivation begin with different methods of open awareness meditation techniques focusing on emptiness and the silencing of thoughts to acquire the stillness of the Zen (禪) mind, which is the mind that evokes our natural spontaneity in harmony with the Dao. But the problem with this approach, and also why it is timely, is that most modern people both Western and Eastern have no frame of reference for how or why they are doing this and ultimately have not prepared the soil within their body and mind to experience prolonged states of stillness. One who has not prepared the soil within the body and mind usually fall into delusion because the philosophy and methods of practice of the East are only understood superficially. They are taken up more so because they are trendy and a clever way of sustaining our ego in the disguise of a new “shiny” spiritual persona. Instead of becoming humble and seeking the low places where Dao is found, we perpetuate our primarily Western temperament of the “on high” hypnosis cloaked in the traditions of the East. This subtle disguise has been with us since the counter culture movement of the 60’s and 70’s and survived through the hippy and more recently in new-age spirituality. A hippy, for example, often misinterprets following the Dao by statements such as “I’m going with the flow dude.” But a Daoist would explain that only those who are empty within the mind can flow with Dao and so your statement is only intellectual, not a natural experience. For to experience Dao the sense of “I” must not arise, hence there is nobody there in spontaneity. So the hippy’s idea of freedom is just a dress sense to show off to other people, not the real freedom of stillness within. Comparable to this is the way people attracted to Eastern wisdom understand through the “on high” of new-age spirituality only dabble in the philosophy and methods of practice rather than following them sincerely. We find this best when people attend a 10 day silent vipassana course then once it is completed they just can’t stop chit chatting incessantly, which is the evidence that it was more about completing the course to tell other people about than actually learning real mindfulness from it. This results from an underlying tension you feel in most people which comes through their speech, posture, and rigid opinions. This underlying tension is even more evident with those who practice taiji, hatha yoga, and other forms of meditation. It all results from a lack of understanding and sincerity of abiding by the philosophy and practice of whatever method it may be. This tension we acquire from culture and society eclipses our naturalness and so even if we begin with open awareness meditation the tension has not been dealt with. The soil of our mind turns into sewage with not much hope for us to cultivate the sprouts of a lotus flower to become natural. But in this book we realize Nei Dan is a plough that will dig into the tension within our individual energy matrix. It will bring you back to earth to show you that where you once thought you were on top of a mountain that in truth you were only on a small foothill before Mount Everest. 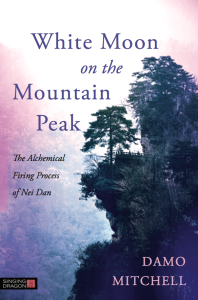 Nei Dan is a way out of this debacle of how to return to the naturalness of Dao. The “mind stuff” we accumulate within the grey matter of our nervous system throughout our life is what Nei Dan seeks to transmute so we can turn the lead of the artificial person back into the natural immortal. We usually only experience or perceive the natural spontaneity of Dao within many art forms. We might see a divine performance in music or a piece of spontaneous magic in sport, but if you ask either to recreate their divine performance or piece of magic anxious thoughts will rise up in their mind and the recreation is sabotaged because the idea of a “person” doing it comes back into consciousness. Naturalness is eclipsed when we do not allow the wisdom of the unconscious take control of the body and conscious self. 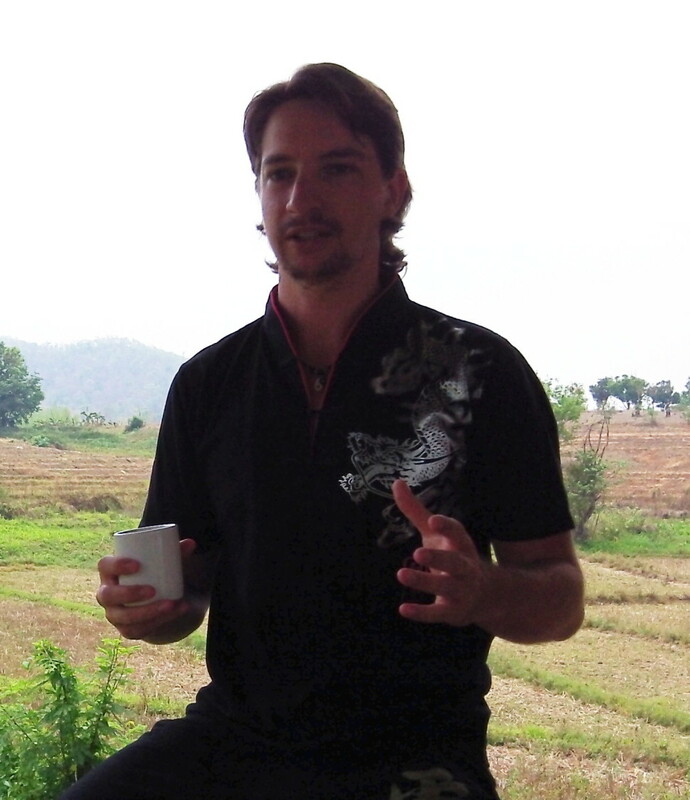 The dilemma tackled with Nei Dan is how to reside in the spontaneous nature of Dao permanently. To this dilemma and fundamental paradox, Damo Mitchell has gone to farthest extremes of inner alchemy to bring back a map to guide us through our own internal landscape onto the irreducible essence of Dao. The map is this profound book on Nei Dan and if you allow it to soak into your mind you will be on your way to understanding the mystery you are. Then we will be natural again, as natural as the Japanese unsui (雲水). A term meaning “cloud and water,” because without trying an enlightened master drifts like a cloud and flows like water.